The wait is over to get delicious Garlic Jim’s Pizza at the restaurant or delivered to your Monroe real estate. 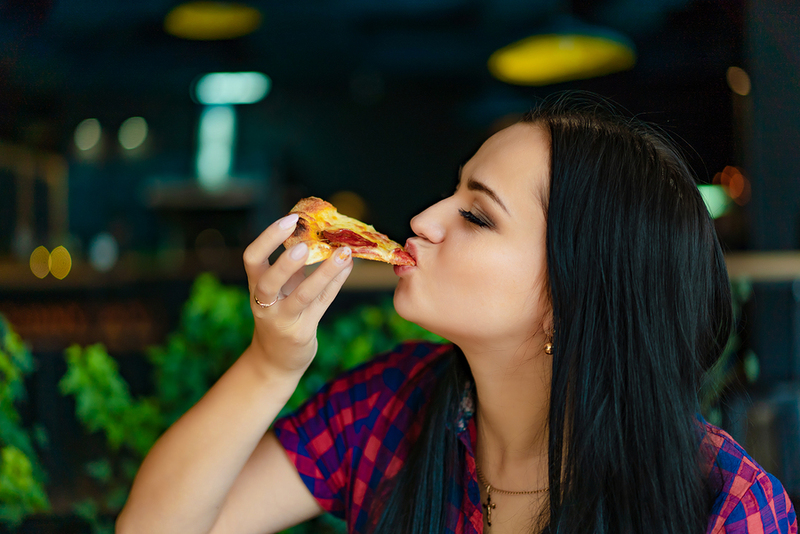 This new restaurant is located at 14975 North Kelsey Street in Monroe and offers gluten free pizza, salads, garlic bread, oven toasted sandwiches, wings, dessert, and drinks in addition to regular pizza. Stop in for a casual dine-in meal, grab dinner on your way home to your Monroe real estate, or rely on the delivery drivers who know their way around Monroe and should find your house with no problem. Garlic Jim’s restaurants strive to make delicious pizza quickly. If you haven’t already tried Garlic Jim’s, come see the difference. The crust is unique in that the thin crust includes garlic and cornmeal for taste and texture, and the hand tossed crust is made with buttermilk and parmesan cheese in the mix. The sauce is made with fresh-packed tomatoes from California, not tomato paste, and the 100% whole milk mozzarella is fresh, never frozen. Build your own pizza with your favorite toppings or choose a signature pie. Choose from selections such as Southwestern Chicken, Jim’s Veggie, Nutty Chipotle, Spinach Artichoke Pie, the Sicilian, Jim’s Garlic Chicken, or Jim’s Smokin’ Sweet BBQ Pizza. If you are short on time, try the individual Neapolitan pizza, which will be made right in front of you with the toppings of your choice in less than five minutes. Other menu items include chicken wings, chicken bites, ribs, house salad, chop salad, garlic cheese bread, ice cream, cheesecake and Cinnabon gooey bites. There are Garlic Jim’s locations in Washington, Texas, Oregon and Colorado. Find more information about this growing company, find the full menu, and order online. Also feel free to call with any questions or phone in an order to 360.799.6953.